RUMS FROM MOLASSES ARE ALSO IDENTIFIED AS TRADITIONAL RUM. MOLASSES IS A BY-PRODUCT AFTER RAW SUGAR HAS BEEN EXTRACTED FROM SUGARCANE. THERE IS A WIDE VAREITY OF STYLES OF RUM. THESE RUMS VARY ON DEGREE IN SWEETNESS DUE TO AMOUNT OF ADDED SUGAR AND CARAMEL. TO REPLACE LOST ANGEL’S SHARE OF RUM WITH NEW AND YOUNGER RUMS (SIMILIAR TO PROCESS FOLLOWED BY SHERRY). 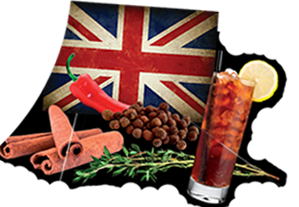 THE BRITISH ROYAL NAVY HISTORICALLY RECEIVED RATIONS OF RUM OF A HIGHER PROOF AND HIGHER FLAVOR. SAILORS WOULD “PROVE” THE STRENGTH OF THE RUM BY TESTING THE IGNITION WITH GUNPOWDER. THE ABV. WAS GREATER THAN 57% IF IT IGNITED. TO REPLACE LOST ANGEL’S SHARE OF RHUM WITH RHUM OF THE SAME AGE (SIMILIAR TO PROCESS FOLLOWED BY COGNAC). RUM FROM COUNTRIES THAT WERE FORMER BRITISH COLONIES ALSO PRODUCED FROM MOLASSES. THUMS RUMS HAVE BIG CHARACTER AND ARE KNOWN TO BE BOLD, WITH PARTICULAR WEIGHT AND DEEP RICH FLAVORS. 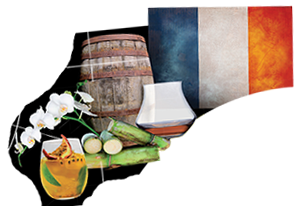 RUM FROM FRENCH TERRITORIES CRAFTED FROM FRESH PRESSED SUGARCANE JUICE AND CHARACTERIZED BY FLORAL AROMA’S AND TROPICAL FRUIT FLAVORS WITH ELEGANT COMPLEXITIES. THE AROMATIC PROFILE HAS SIMILIARITES TO FRENCH FRUIT EAU-DE-VIE AND ARMAGNAC AND COGNAC. FRENCH RHUM IS THE ONE WITH THE SPELLED WITH “H”. RUM FROM SPANISH INFLUENCED COUNTRIES PRODUCED FROM MOLASSES. 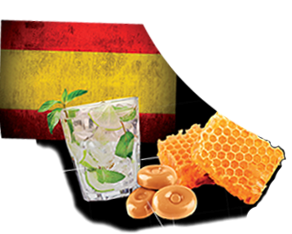 TRADITIONALLY SPANISH RUM, COMMONLY REFERRED TO AS “RON”, IS CHARACTERIZED BY A SWEET, UNCTUOUS, BROWN BUTTER, ROUND FLAVOR PROFILE.